ANNA MARIA ISLAND, Fla. — Mote Marine Laboratory received a report of five whale sharks, the Earth’s largest fish species, about 40 miles off Anna Maria Island over the weekend. Scientists with Mote Marine are asking people to report any sightings. They think this recent sighting could be an indication they are feeding on something in a certain place. “When we hear a report of five together that’s intriguing. They may be out there feeding on something that they really like,” said Dr. Bob Hueter, Senior Scientist at Mote Marine Laboratory. Jacob Campoamor captured the video of five whale sharks. “Our boat is a little over 24 feet. The one that came right up to the boat was clearly longer than the entire boat,” said Jacob Campoamor. Campoamor said he went fishing this weekend with his father for grouper, but the two found something even better. “My dad’s been going out there for 40 years or so. Most of my life, I’ve been going out to Anna Maria so for a long time and never seen anything like it,” said Campoamor. 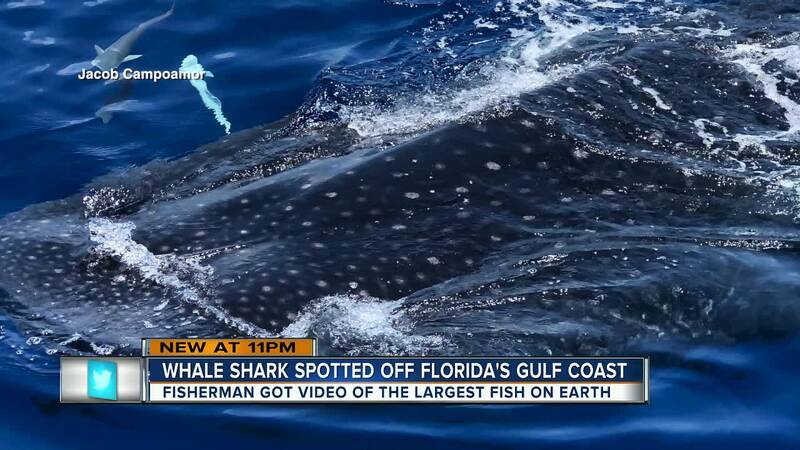 Mote Marine says whale sharks sporadically visit SW Florida's waters, most likely to filter-feed on localized blooms of plankton or fish eggs. The sightings are rare and unpredictable. “It’s important to understand where these sharks migrate, feed and carry out other key parts of their life cycles so that resource managers can successfully protect them,” said Hueter. “We have placed satellite-linked tracking tags on numerous whale sharks at a major feeding aggregation off Mexico’s Yucatan Peninsula in the past decade, but it’s rarer that we can find and tag these huge fish off Florida’s Gulf Coast,” said Hueter. Mote says researchers want to attach a special type of satellite tag to one or more of the animals to collect data on their geographic location and the temperatures and depths they encounter over a six-month period. 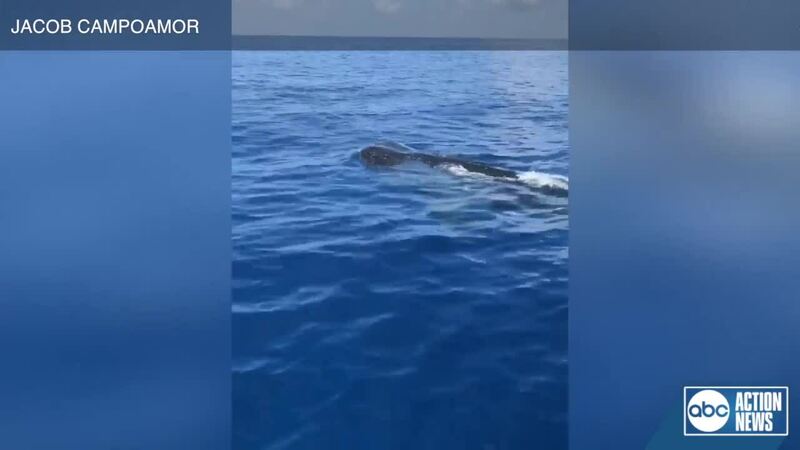 “When saw the whale sharks, we knew that was a very unique and rare experience,” said Campoamor. To report whale shark sightings in the Gulf of Mexico from your boat or just after disembarking, within 24 hours at most, to Dr. Bob Hueter at Mote’s Center for Shark Research: 941-302-0976. Please note the number of whale sharks spotted, the date, time, location and exact GPS coordinates if possible.